If you are mining crypto currencies under Windows as operating system, then you have probably reached to a state when you have to clean up the mess created by a older or newer version of a video driver more than once already. Having to boot into Safe Mode and manually clean up the mess, hoping that everything will work fine again once more after you reinstall the video driver. There is a very useful and quite handy tool available that can help you do that with just a click of a button and save you some trouble and headaches. The software is called Display Driver Uninstaller and is absolutely free, so the next time when you have to play with video drivers you can give it a try if you still haven’t used it. 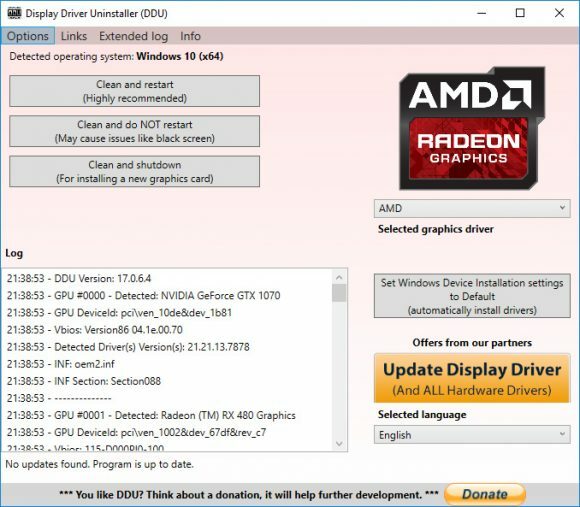 With that said, the DDU software is useful not only for GPU miners, but also for regular users that may experience video drivers messing up. Issues with video drivers like some cards running an older while others are on newer version for example do happen more often on GPU mining rigs where you normally have six video cards than on a regular computer with just one.